Amy used to have it all. She was pretty, popular, and had the perfect boyfriend, until a nuclear bomb struck Washington D.C. and her world went up in flames. Amy’s determination to win the Homecoming Princess title shifts to fighting for her life in Amy’s Gift , the fourth installment in Karyn Langhorne Folen’s Doomsday Kids series. After Liam, Nester, and Amaranth have each told their stories, it’s Amy’s turn and she needs her friends more than ever. In an all-too-possible dystopian world, Amy and her fellow survivors are rocked when Rod, Amy’s boyfriend, along with Liam's father and Amaranth, the girl who ran off with Rod, return from the wastelands of Washington D.C. with newcomers Jax and a teacher from Amy’s high school. With the arrival of old friends and new faces comes the understanding that the group’s time at Mountain Place has drawn to a close and they must leave the safety of their haven for Survivors’ Camp. The two-hundred miles they trekked to reach Mountain Place is nothing compared to the thousand mile journey before them, but Amy has her own secret reasons for reaching the camp by spring and convinces her friends to set out. Amy’s Gift challenges the cultural misrepresentation of an all-white cast with a diverse group of characters. Each is fleshed out and struggles with real teenage problems, apocalyptic and otherwise. The bonds they share in the wake of “the end of the world,” are inspiring at times and heartbreaking at others, yet always maintain a believability in the strength of the trials that forge them. Folen’s narrative style adds to the complexity of Amy’s character; interwoven passages of Amy’s past and present serve as a powerful gauge as to how her world - and her perception of everything in it - has changed. By snapping back and forth between specific high-tension moments in the present, as when Amy fires a gun at a woman then flashes back to her grandfather taking her to the gun range and the stereotyping they experienced for their Asian appearance, and back to the moment when the woman collapses, Folen creates a stunningly detailed protagonist. 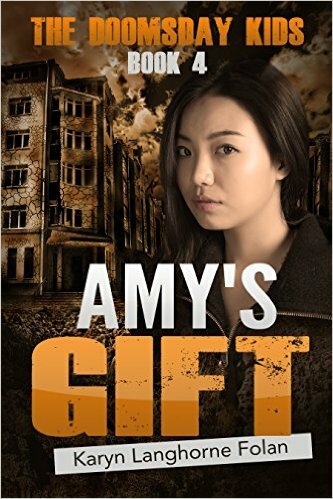 More realistic than Divergent or The Hunger Games, Amy’s Gift is a powerful novel depicting a ragtag group against the odds and one girl’s struggle to take them to safety. Amy’s secret drives her, but the fear of discovery overwhelms her at times. Amy must overcome not only old friends turned enemies, mysterious soldiers, and the journey’s affect on her friends, but also her own doubts. Amy’s Gift is followed by The Doomsday Kids Book 5: Survivors’ Stories, the penultimate book in the groundbreaking series and finally, The Doomsday Kids Book 6: Elise’s Wish, available in October 2015.
Review by Anais Mohr. 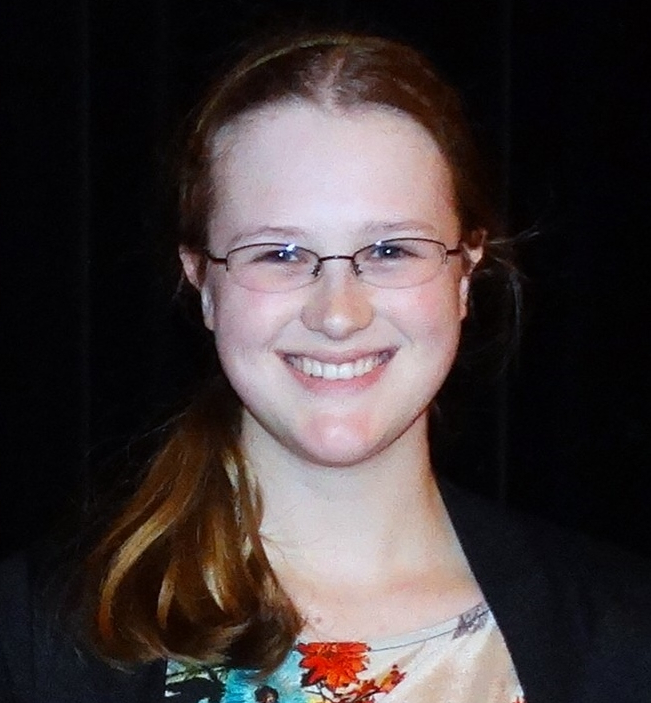 Anais Mohr is a senior at Central High School in Traverse City, Michigan. She is a member of Front Street Writers, a program where high school students are coached in a workshop setting by professional writers. She loves to read fractured fairytales and middle-grade fiction.